The Top Four Tropical Decking Wood Species. Today’s discriminating homeowner knows that a custom deck built from exotic hardwood lumber is part of an entertainment-friendly home. From outdoor kitchens to gazebos and landscaping havens, the deck provides a fitting centerpiece for an array of attractive additions. In order for a deck to provide that kind of anchor to your outdoor living space, you need to make sure it’s built out of the best lumber possible. 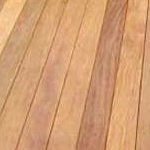 Many lumber experts and contractors would argue that the crème de la crème of tropical decking lumber is Ipe, and at J. Gibson McIlvain, we readily join that chorus. 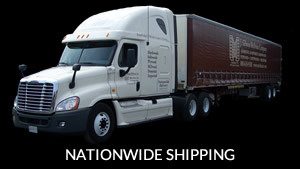 However, there are some other exotic hardwood lumber species that rival the quality of Ipe. Like many exotic hardwood species, Ipe boasts a reddish brown color. This number-one pick for decking is amazingly hard and durable, making it ideal for outdoor applications. 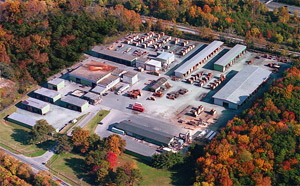 Its stability allows it to relatively quickly move from the mill to the job site. Part of the secret to Ipe’s success has to do with its density and hardness. 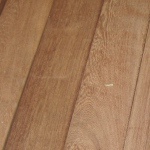 For decking applications, Ipe is air dried to a moisture content of between 12-18%. For interior applications, which are becoming increasingly popular, Ipe is kiln dried to a 6-8% moisture content. From famous boardwalks to high-end private homes, many believe Ipe to be well worth its high price. Slightly softer than Ipe, Cumaru requires kiln drying in order to avoid shrinkage and increase stability. 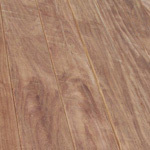 Coming in both yellowish and reddish tones, this “Brazilian Teak” has a high density that makes it rival Ipe. An increasing number of budget-conscious buyers willing to pay nearly ¾ the price of Ipe are springing for Cumaru, and sometimes only wood professionals can tell the difference by the wood’s appearance. 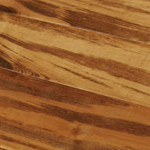 While Tigerwood does darken to a deep reddish brown resembling Ipe and some Cumaru, its name refers to its original brownish orange coloring and striping that resembles that of a Tiger. That distinctive striping can make consistency required by some applications a challenge, though, and kiln drying is required. This species is popular for both outdoor applications such as decking as well as interior jobs. Another down side of Tigerwood is that it can be slippery, especially if you like to go outside on your deck with bare feet. Supply is high, so even as demand increases, this species is priced much lower than Ipe or Cumaru. Softer than the other species used routinely for decking, Cambara is also less dense. Stability is improved through kiln drying, making it preferable to domestic species such as Red Cedar and Redwood. While the price is similar to those domestic options, Cambara has an open grain that resembles Mahogany and boasts the rich coloring of many exotic hardwood species. In addition to large quantities and sizes of popular tropical decking species like Cambara, Tigerwood, Cumaru, and Ipe, J. Gibson McIlvain carries small quantities of lesser known species such as Massaranduba and Garapa.